Combine remaining ingredients in a bowl and spoon over chicken. We double the ingredients for the sauce. We like extra juice for rice or noodles. Thighs are good, too. We use boneless, skinless thighs. I like to heat the sauce on the stove till it starts to boil and then pour it over the thighs which have already been put into the cooker. This gives it a jump-start on heating up. If frozen, cook on high 2 hours then on low 2-3 hours. When we have company, I cook 16 thighs all together and it turns out just fine. I triple the sauce recipe for this and stir the thighs half way through the cooking time. Since discovering this recipe, I have not cooked rice in a pot on the stove since. This is the BEST rice recipe EVER! Mix ingredients thoroughly in a 1 1/2 quart casserole. Cover tightly with lid or aluminum foil (tight enough to prevent escape of steam). Bake at 350 degrees for 25 to 30 minutes or until liquid is absorbed and rice is tender. Fluff with a fork and spoon into bowl to serve. Makes about 6 servings. I have found that 30 minutes is the best amount of time. Then let it sit 10 minutes still covered before fluffing to make sure all the liquid does get absorbed. Feel free to add bouillon (leave out the salt if you do) or herbs or spices to flavor the rice. 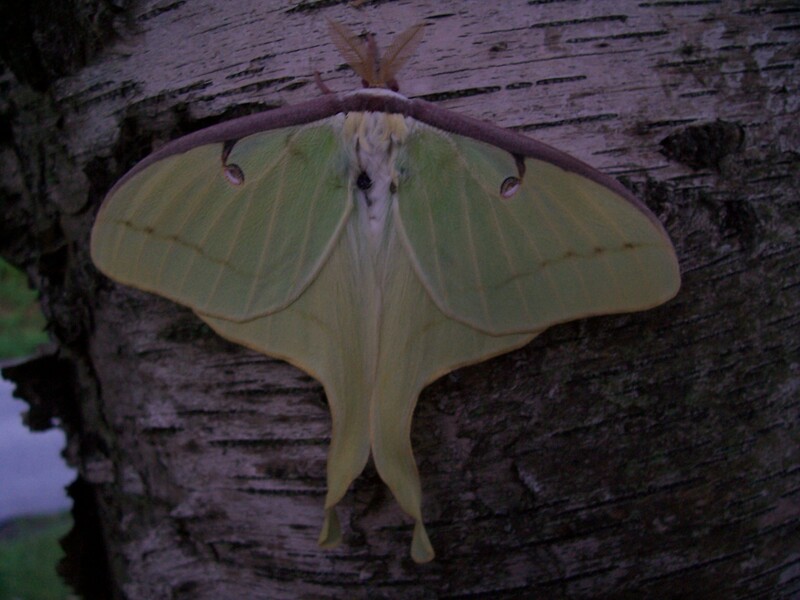 A Luna Moth! These guys only live about 7 days. 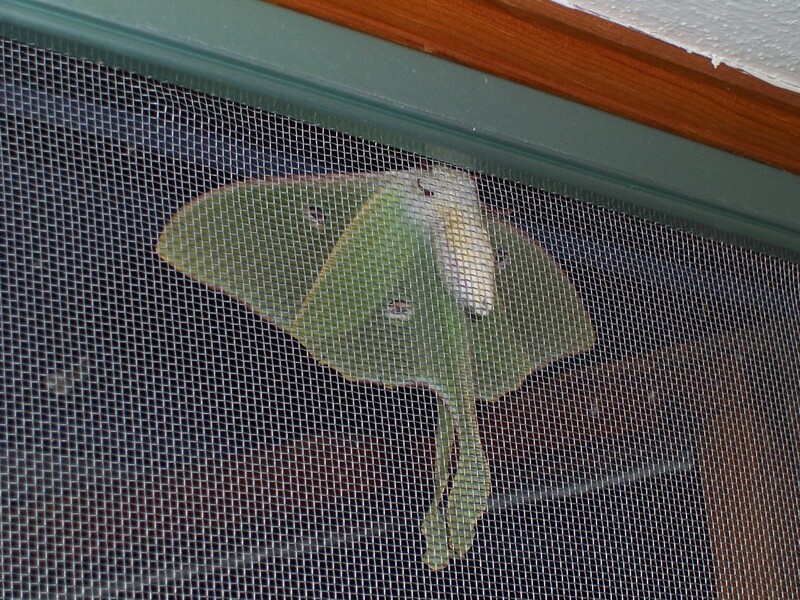 This one kept banging itself against my window screen. Eventually I had to go ‘pop’ it off the screen to get it to fly away. They are so beautiful! This a picture of one from a couple of years ago. Aren’t they pretty?